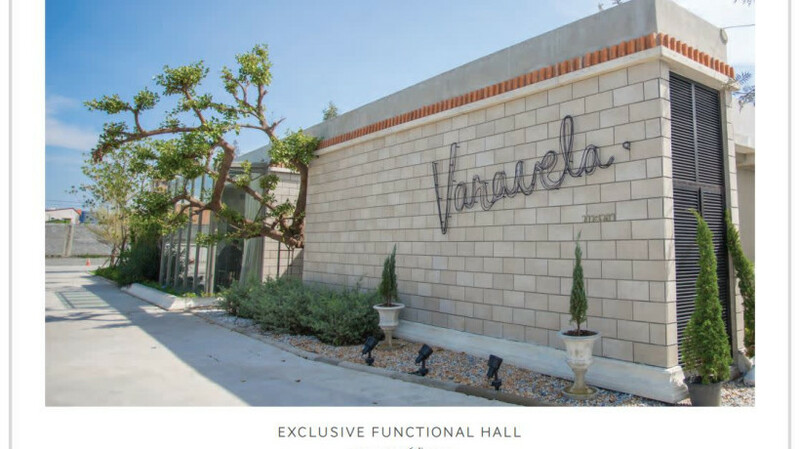 VARAVELA Garden Hall is the perfect place to host exclusive event and wedding located in Bangkok, Thailand. VARAVELA has its size around 3 RAIs approximately. We can accommodate our guests up to 350 people max. Our service is delivered in the format of “functional hall” including both venue and services e.g., decorator and design service. กว้าง: 9 ม. ยาว: 18 ม. สูง: 5.5 ม.